HPE RDX Removable Disk Backup System is a disk-based back up and recovery solution with critical security layers, unmatched portability, fast recovery and easy integration into any small business environment. 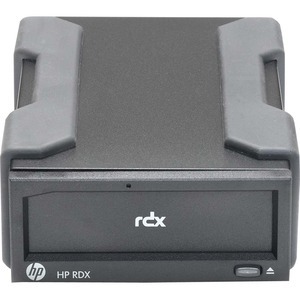 HPE RDX is rugged, removable, easy-to-use, and cost effective for remote or branch office locations, small offices or home offices with little or no IT resources. HPE RDX works exceptionally well in harsh work environments where businesses need to protect, manage, transport or capture large amounts of data in less than ideal locations.